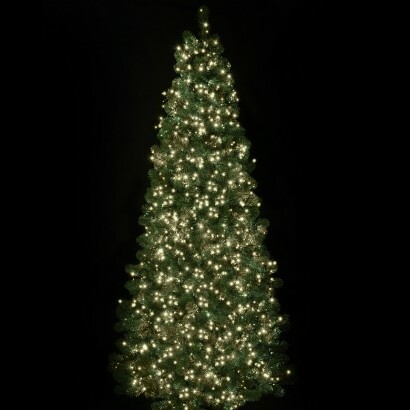 Dress trees in your garden for Christmas and parties all year round in beautifully sparkling LED fairy lights that shine with a warm white glow. 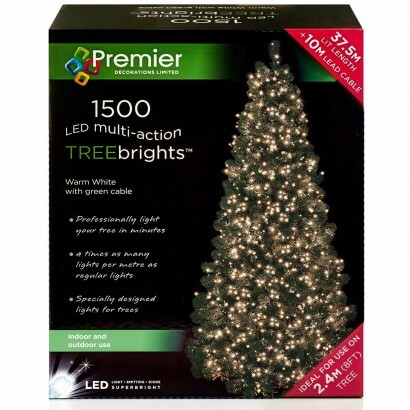 A massive 1500 multi action LEDs make for 37.5m of illumination and specifically designed for trees, this fairy light set has four times as many lights per metre as regular lights making it easy to achieve stunning, professional effects. 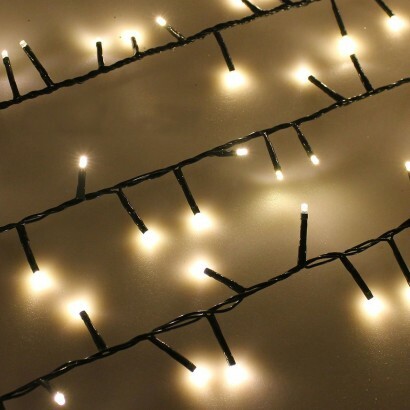 Suitable for trees measuring approximately 2.4m tall (8ft) indoors or outdoors, these mains operated fairy lights have an 8 hour timer function so that they switch on at exactly the same time every evening so that all you need to do is place them and enjoy!